Camping Les Bouleaux es un camping en Vilsberg, Mosela. El camping tiene plazas parcelas con algo de sombra. Cabe alquilar caravanas, caravanas fijas y bungalós. El camping dispone de de terreno de deportes. Este inspector visita cada año al Camping Les Bouleaux y lo inspecciona considerando más de 200 servicios y otros aspectos importantes. El inspector es un trabajador de ACSI y no trabaja para el camping. Gustó - Flexibility in choosing pitches. Nice sheltered site, very helpful friendly owners, limited WiFi. Very picturesque area, Resturant on site provided good selection of food and drink. Quiet site in beautiful location. However that is where the positives end. Poor shower facilities, blocked drains, water either COLD or TOO HOT. Went to try out the cuisine de Maison to find work men putting on new roof, very noisy, so can’t tell you what the cafe was like. All in all not a camping site to be returning to. Used this as a stop-over on return from Switzerland to Calais. Great little site with a small pool. Food was limited but really good local food. Toilets adequate although no toilet roll. Great reception on arrival and owner speaks perfect English and helped to make this overnight stay a really nice experience with a very friendly attitude. One of the best camp sites we have visited. Staff were wonderful very friendly and nothing was too much trouble. Will definitely come back again. One of the best campsites I have visited in years. The owners and staff were wonderful and very accommodating. We planned to stay for 2 nights but stayed for 7 nights. If you want peace and relaxation this is the place to go. Nearby town of Saveren is very pretty. I would highly recommend this site and will visit again soon. Really liked this site and although we only used it as a stopover we're planning on coming back next year to use it as a base to explore the area. Very friendly. Although the toilet/shower block itself wasn't the nicest, the actual facilities themselves were very good and very clean. Gustó - We love this place. We have been here 3 weeks before the first time. It was so relaxing after the everyday rush with job, family, household, that we wanted to come back again. Unfortunatelly we had only little time, only 3 nights each time. The owner family is realy nice. Jung couple with 2 children, They do a lot of things alone, and for the guests. I would like to come again. ¿Desea reservar u obtener más información sobre su camping Camping Les Bouleaux? Puede hacerlo mediante los datos siguientes o a través de la web del camping. El camping está a 2 km al salir de Phalsbourg en la N61 a Sarreguemines. Gire cuando vea la señal: "Camping" y no cuando vea la señal "Vilsberg". 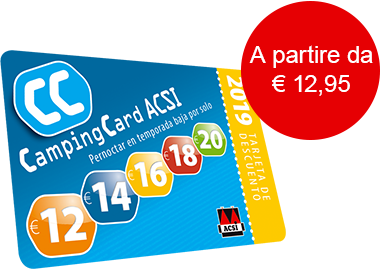 ACSI Eurocampings reenvía su solicitud de información al "Camping Les Bouleaux".